Baylor’s offense just wasn’t its normal, high-flying self a year ago. Here’s a key, but telling statistic: The Bears managed only 876 offensive snaps. It was the first time since 2010 that Baylor didn’t hit 1,000. There were a myriad good reasons ranging from a coaching change to injuries to a lack of quality depth. 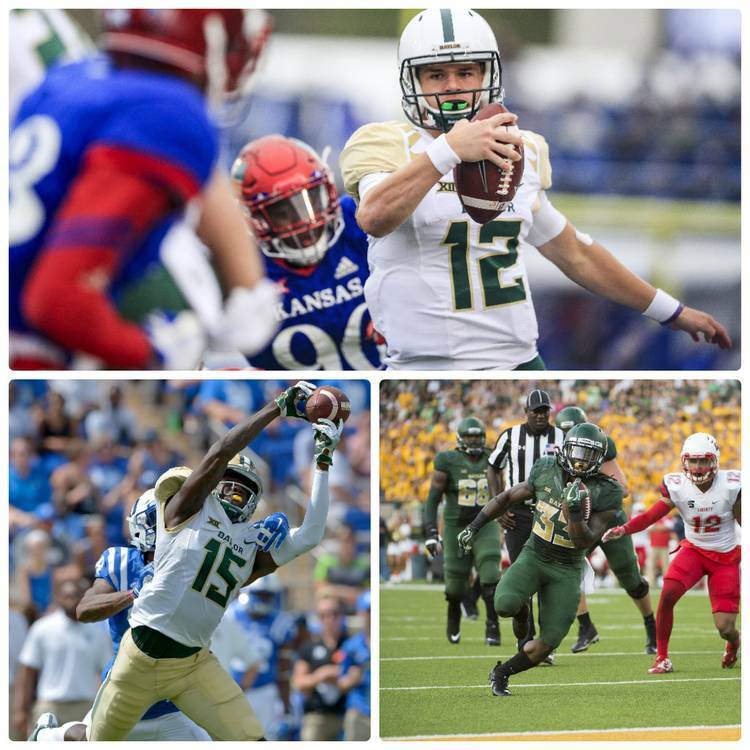 On paper, Baylor looks to be headed more towards its normal self, although no team is going to hit the offensive heights reached during Art Briles’ tenure. Charlie Brewer, who was co-Big 12 offensive freshman of the year a season ago, returns as starting quarterback. That’s a good sign for consistency. He earned the job in the final month of last season after coach Matt Rhule saw that the then freshman brought a spark. Brewer directed the Bears to their only victory of 2017. Brewer is the only scholarship quarterback on the roster who has completed a pass in Waco. Jalan McClendon, a career backup at North Carolina State, joined Baylor this summer and could push Brewer for the starting job. Gerry Bohannan, a four-star prospect and early enrollee, would be third on the depth chart and is a likely redshirt candidate. Rhule said he wants to make sure that Brewer doesn’t become mired in a mental slump that can hit sophomores who try to over-think rather than rely on offensive muscle memory. Brewer needs to grow as a passer while at the same time keeping his energy, Rhule said. “And he has some threats behind him,” he said. Denzel Mims, who averaged 90 yards a game last season, leads all returning Big 12 receivers. Chris Platt led the country last season with most catches of more than 70 yards. He had four. But Platt missed the final eight games after injuring his knee. Jalen Hurd may be the most intriguing receiver in the Big 12. He transferred from Tennessee, where he was a standout running back. He was fourth in the SEC in rushing in 2015. But Hurd, who is 6-4, wanted to play receiver. He’s eligible this season after redshirting last year. JaMychal Hasty will have first crack. He can run and catch — check the nine catches he had in a game last year against Texas Tech. He was injured in last year’s season opener and missed four games. John Lovett, as a freshman, led the team in rushing last fall with 445 yards. He’ll contend with Hasty for the top spot on the depth chart.